Looking very much like the beauty competitor Maybelline Super Stay 24 Hour Foundation, this high-performance foundation is a better version. It has Patented Skincare Technology for multi-functional skin benefits. It is a great product for a reasonable price. I like a medium to full cover foundation that doesn't clog my pores or feel like a mask. This foundation was silky, almost cooling to apply and easily blend able. It was lightweight and non greasy to the touch, this is because it is made with a silicone base which makes it silky. I used Natural Beige, but you can use any of the other colours shown above to suit your skin tone. 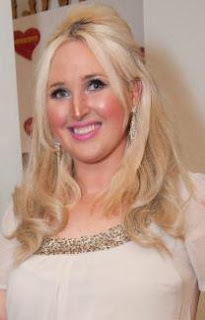 Remember that a lighter foundation will mean you can tone and highlight your skin more easily with the aid of blushers. I also found this foundation lasted all night and let my natural glow shine through. You can see in my picture that I wore it at a press night and it doesn't look too heavy. Apparently it is supposed to last up to ten hours- I worked eight hours and it still looked fine. It is clinically proven to be transfer-resistant for long-lasting flawless wear. It has a lightweight silicone base for velvety-smooth finish and perfect comfort fit. I liked the key ingredient of Lingonberry which is used to help build up antioxidants in your skin and it is known for its exceptional ability to protect against oxidative stress. This natural component is used alongside the SkinRenew Complex™, to help revitalize your skin, renew skin cells and protect against ageing. 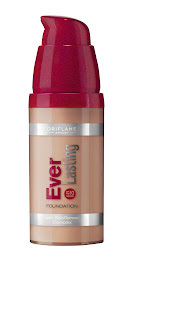 If you are looking for a great foundation to use in a busy day to night job then this is the one for you. I will definitely be using this foundation for my longer days where I need to look flawless. Medium to high coverage. 30ml. Oriflame’s Everlasting Foundation will be available in a choice of 6 shades and will retail for £11.45 (30ml). It can be purchased in the UK via www.oriflamestore.co.uk or through Oriflame’s nationwide network of Consultants. To find your nearest Consultant visit www.oriflame.co.uk. Established in 1970, Oriflame UK is a franchise of the international beauty company which sells direct in more than 60 countries worldwide. Its wide portfolio of Swedish, nature-inspired, innovative beauty products is marketed through around 3.5 million independent Consultants, generating annual sales exceeding €1.5 billion. Oriflame offers a unique business concept - Make Money Today and Fulfill Your Dreams Tomorrow™. Respect for people and nature underlie Oriflame’s operating principles and are reflected in its social and environmental policies. Oriflame supports numerous charities worldwide and is a Co-founder of the World Childhood Foundation. Oriflame Cosmetics is listed on the Nasdaq OMX Nordic Exchange.